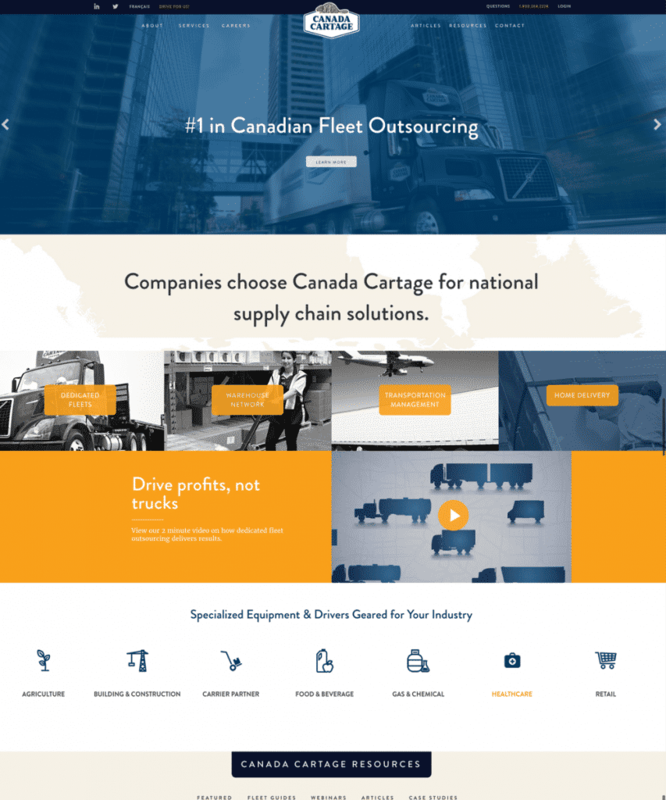 Canada Cartage | | RocketCloud Inc.
Canada Cartage started out with one horse and cart in 1914. It has since become Canada's largest provider of fleet outsourcing with 4,000 trucks and 3,500 employees. We custom built a responsive, bilingual WordPress website with multiple custom templates. We ensured existing tools — e.g. Constant Contact for outreach and HireHive for recruitment — were integrated seamlessly into the site to minimize business disruptions. We built a custom interactive timeline to visualize the company's rich 100+ year history.